Have your children got into Vampirina yet? My girls love the Disney Junior show about a young vampire and her family who move from Transylvania to Pennsylvania. The show depicts the struggle for young girls to fit in, especially those who are a bit different but it is really fun and Vee is pretty cool. 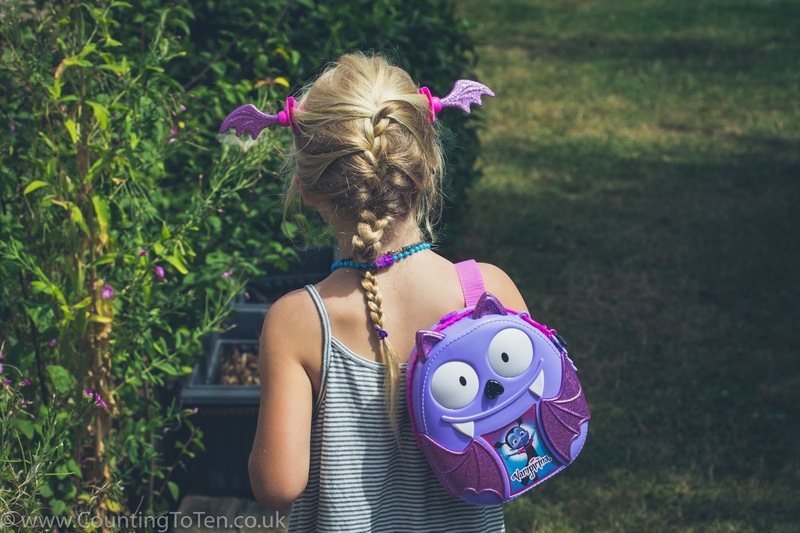 We are loving the merchandise that is available and we were super excited to be sent some of the new products available this Autumn from Flair including the Bootastic Backpack and a Spooky Scooter figure set. 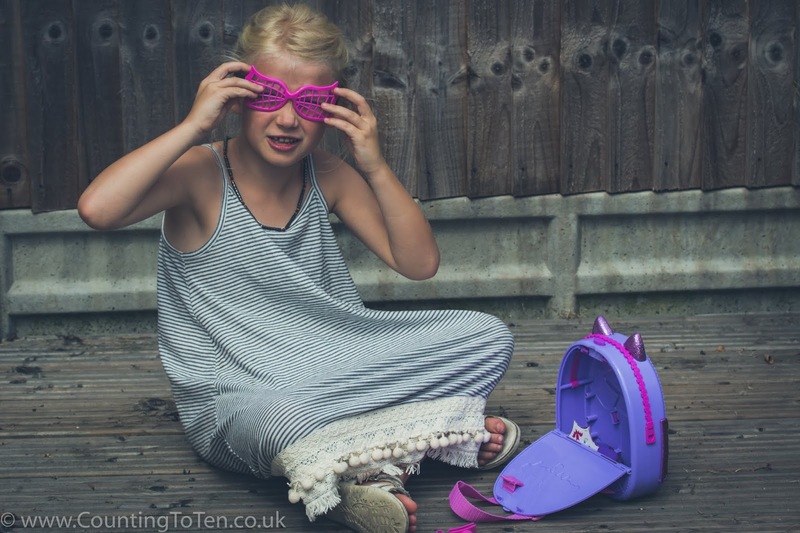 The hard plastic backpack is a great way to get children in the mood to go back to school, or if they are starting school for the first time they can practice packing up all their bits and play schools with their friends. 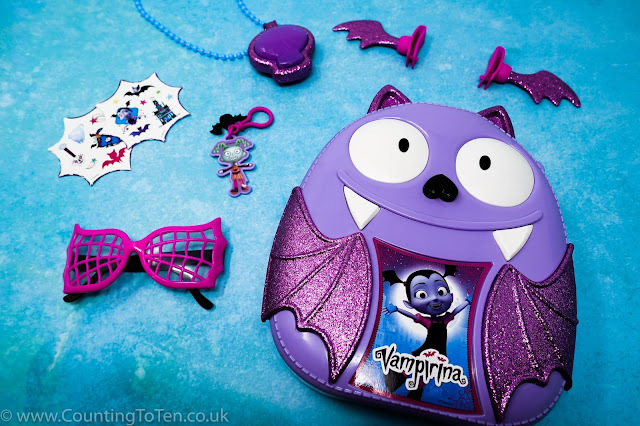 The set contains a bat shaped glittery backpack, a skull necklace, toy sunglasses, a backpack clip with printed voodoo doll charm, two glitter batwing hair clips and stickers. The backpack can be used to store all the pieces so they can be kept together when not in use. It opens when you press a button on the top and you can fold down the hinged door on the back. The skull necklace lights up when pressed and says phrases from the programme like: "I'm Vee, would you like to play together? ", "spooky is my style" and "my skin may be blue, but I'm really just like you". My children loved dressing up in the accessories, but it's even more fun to play with friends and dress each other up. 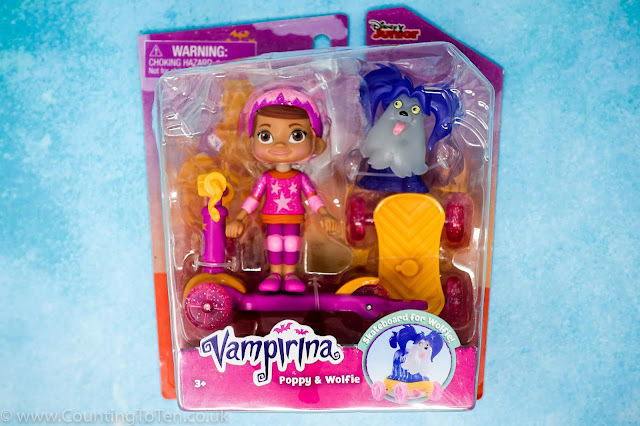 We were also sent a set with Poppy (one of Vampirina’s best friends) and Wolfie (Vampirina’s pet dog who turns into a werewolf) figures. 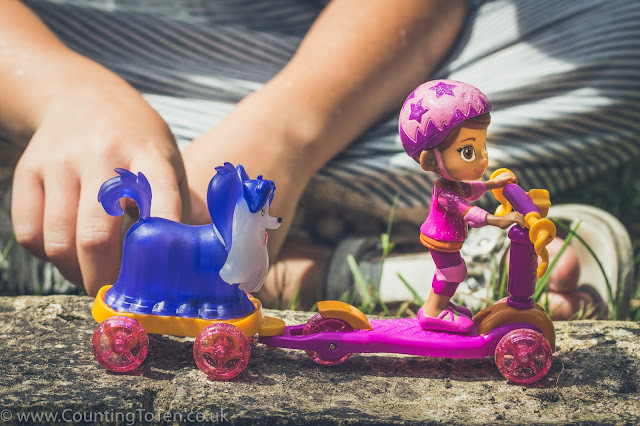 Poppy has a scooter and Wolfie his own skateboard. The two connect together so they can be pulled as one and the figures come off their transport too. The glittery wheels move and Poppy is articulated so she can move her head, shoulders and waist. 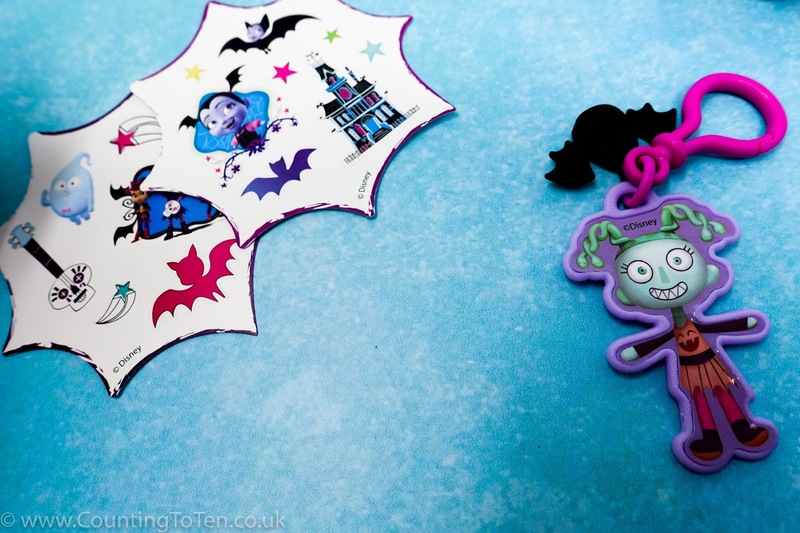 There is also another set available with Vee (Vampirina) and Demi (her ghost friend) so if you have both you can mix and match their scooters and skateboards. 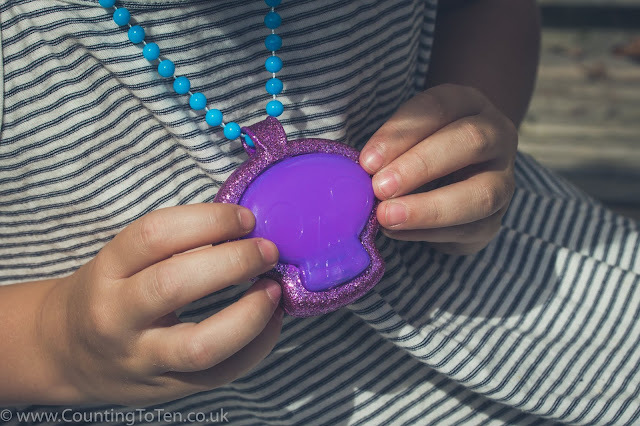 My daughters are really into playing with little figures at the moment; they enjoy acting out stories with them and I love that they are small enough to go in a bag and come out with us. 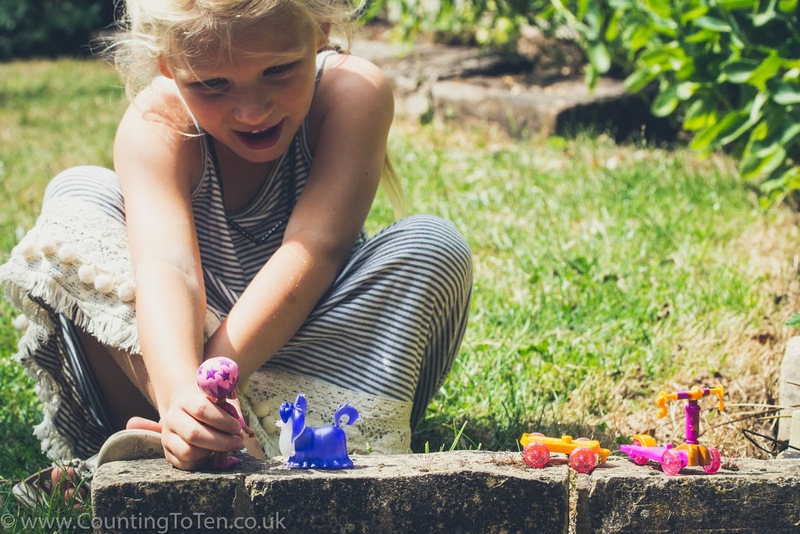 These characters are well put together too which is great because my youngest can be a bit rough with toys and we have a collection of dolls missing limbs (don’t start thinking she is like Sid from Toy Story, I’m pretty sure it’s accidental). The Spooky Scooter sets are recommended for 3 years upwards as they do contain small parts, but I am happy for my toddler who isn’t yet quite 3 to play with them under adult supervision. Both items would make a great present to give to a friend you haven’t seen all summer to show how much you missed them. I have to hold my hands upmand say my daughter is 8 and she has never mentioned this programme,but as a blogger I have seen other children wearing the outfits and playing with the toys . This looks like so much fun, I'm sure my daughter would love the backpack because she takes one everywhere she goes . 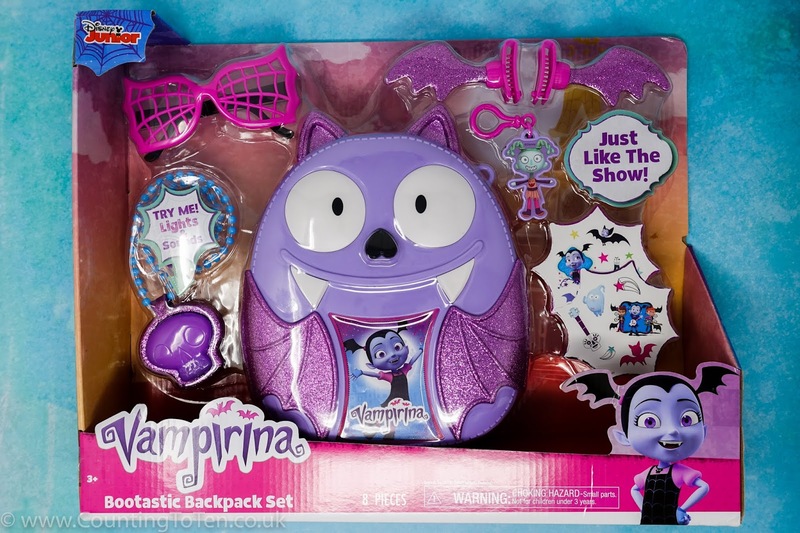 OMG my daughter would LOVE this she is a huge Vamperina fan!